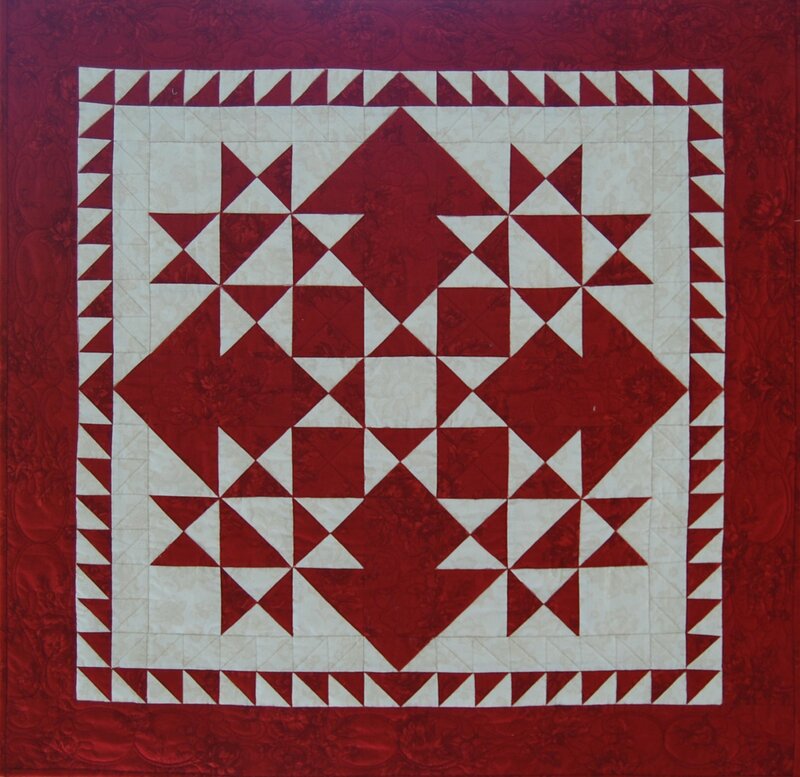 "Vermont Galaxy" is a classic two-color quilt, to be made into a wall hanging. This is a hot seller at the shop! A part of our Mystery Quilt series, Judy made the original "Vermont Galaxy", a queen-sized quilt, as the raffle quilt for the 2012 Vermont Quilt Festival. All fabric for the top and binding of the Wall size is included in the kit, which finishes at 30" square. As an added bonus, since it's a Yankee Pride Mystery Quilt, you get the instructions to make it in three sizes: Wall, Throw, and Queen.